I have to thank MTV for this one and their seemingly endless play of Eyes of a Stranger on Headbanger’s Ball. Initially, Queensryche was tough for me to get into because at the time I was all about hard-hitting Thrash, not pretty and polished Progressive rock. Once it grew on me I was hooked and have been following Queensryche though their ups and downs. Currently, I am anxious to see how their legal battles resolve because I like the idea of the band carrying on with their name and new singer. The new dude seems to be able to hit the notes quite well. 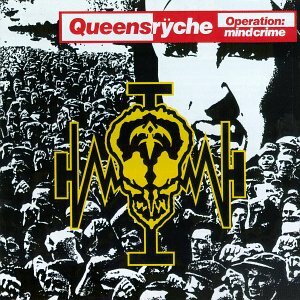 To this day, Operation: Mindcrime is still my favorite album by Queensryche. My favorite song is Suite Sister Mary. Even when Machine Head dabbled in some Rock/Rap stuff for a while I still liked them…some albums more than others. When Through the Ashes of Empires was released, I felt the band got “back on track” with good old-fashioned Thrash. When they released The Blackening, I was completely floored. This is such a great album! 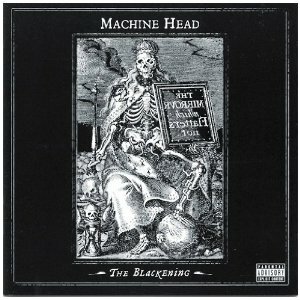 This album really marks a point in Machine Head’s career where everything fell into place. I read (or saw) an interview with Robb Flynn once where they almost ceased to exist as a band. I am glad they found Phil and kept on going. My favorite song is Wolves. This album carried me though those crazy teenage years where everything seemed confusing and stressful. My teenage years weren’t my most memorable times on a personal level and when those times hit low points, Suicidal Tendencies brought me back up to where I needed to be along with episodes of Cheers and Nightcourt. This album is quite an eye opener and if there was ever an “anti” suicide band, this (is) was it. 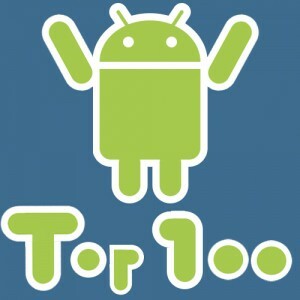 Favorite song is One Too Many Times. 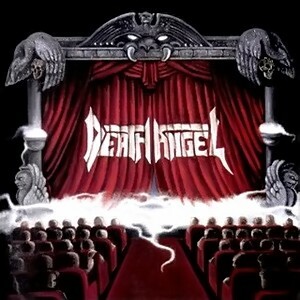 I really appreciated the aggression of Death Angel’s first two albums, The Ultra-Violence and Frolic Through the Park. They were very young at the time and the music was raw, to say the least. I always felt something was missing and when Act III was released, I realized it was mostly production value. Act III was leaps and bounds a higher recording standard than their previous efforts. Every song on the album is crisp and clean, but something else also happened. The band started to add a little flair to their Thrash…injecting some tidbits of funk/Prog here and there. Personally, I like very song on the album and long for a remaster. My favorite here is Discontinued. Though I always liked Iron Maiden up to this point, this was the album that I “loved” from Iron Maiden. Based on this album, I started to go back and appreciate the older stuff even more. I guess this album was pivotal for me and my relationship with Iron Maiden music. 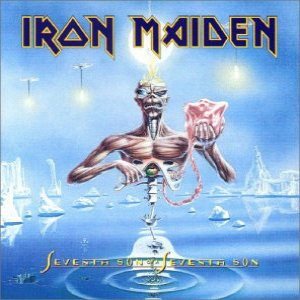 When I get in the mood for Seventh Son, I can play it from beginning to end without skipping anything. My favorite song on the album is The Evil That Men Do. 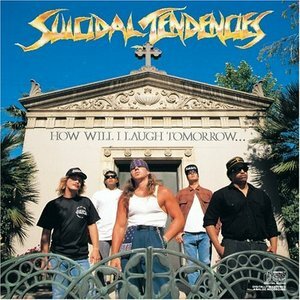 Posted on November 5, 2012, in Metal Lists, Reggie's Top 100 Albums and tagged Act III, Death Angel, How Will I Laugh Tomorrow..., iron maiden, Machine Head, Operation: Mindcrime, Queensryche, Seventh Son of a Seventh Son, Suicidal Tendencies, The Blackening. Bookmark the permalink. 3 Comments.